Google Cloud is on the path towards a serverless future with the general availability release of its serverless NoSQL document database solution Cloud Firestore. The solution leverages cloud-native technologies to provide the ability for users to store, sync and query data for their web, mobile and IoT apps. Features include live synchronization, offline support and ACID transactions as well as security features and integrations with Firebase and Google Cloud Platform. Firebase is the company’s mobile development platform. With Firebase and Cloud Firestore, users can build apps with real-time capabilities, and hands-off auto-scaling, the company explained. “Building with Cloud Firestore means your app can seamlessly transition from online to offline and back at the edge of connectivity. This helps lead to simpler code and fewer errors. 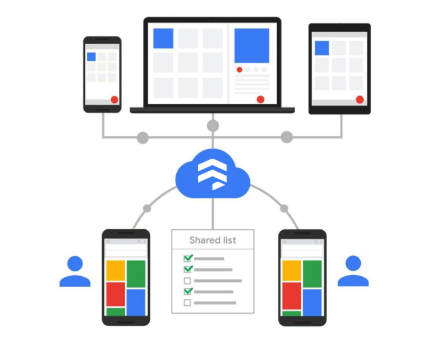 You can serve rich user experiences and push data updates to more than a million concurrent clients, all without having to set up and maintain infrastructure,” Google’s Vice President of Engineering Amit Ganesh, and Product Manager Dan McFarth wrote in a post. In addition, Firestore includes integration with Cloud Functions and Cloud Store, and support for up to 500 collections and documents in a single transaction. With today’s GA release of Firestore, the solution is also getting new regional instance pricing, SLA availability, 10 new locations, and a beta version of Stackdriver integration. Going forward, the team will be working on adding additional developer features including querying for documents across collections and incrementing database values. Google says Cloud Firestore is the next-generation of cloud data storage, and will be compatible with Datastore APIs and client libraries. Existing Datastore users can be expected to be live-updated to Firestore later this year. “Cloud Firestore is already changing the way companies build apps in media, IoT, mobility, digital agencies, real estate, and many others. The unifying themes among these workloads include: the need for mobility even when connectivity lapses, scalability for many users, and the ability to move quickly from prototype to production,” Ganesh and McGrath wrote.